← One of the Most Scenic Road Trips in America! The Grand Army of the Republic Highway (Hwy I-70). 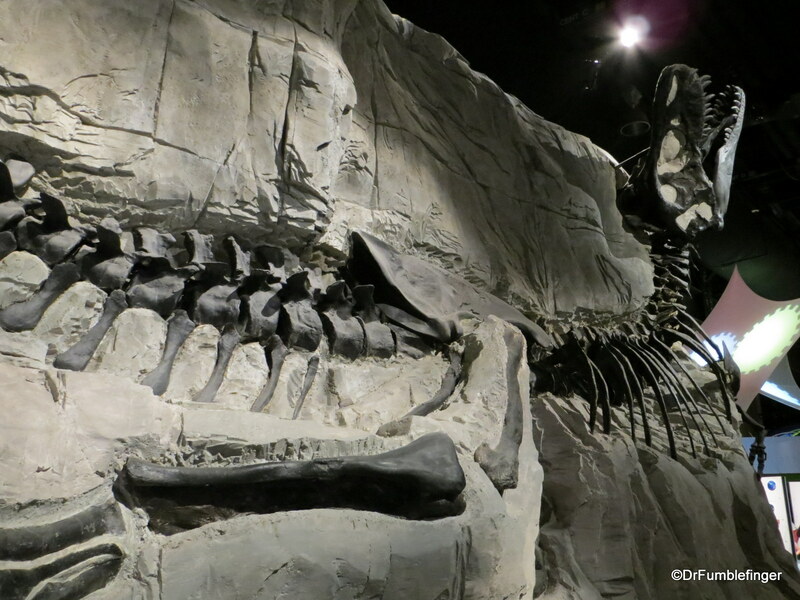 One of the most amazing Natural History museums I’ve ever visited is the Royal Tyrrell Museum in the small town of Drumheller, just over an hour’s drive northeast of Calgary. The museum sits in the “Badlands” and it’s here in the hills around the museum (and throughout Alberta) that the world’s most extensive deposits of fossilized dinosaur bones are to be found. 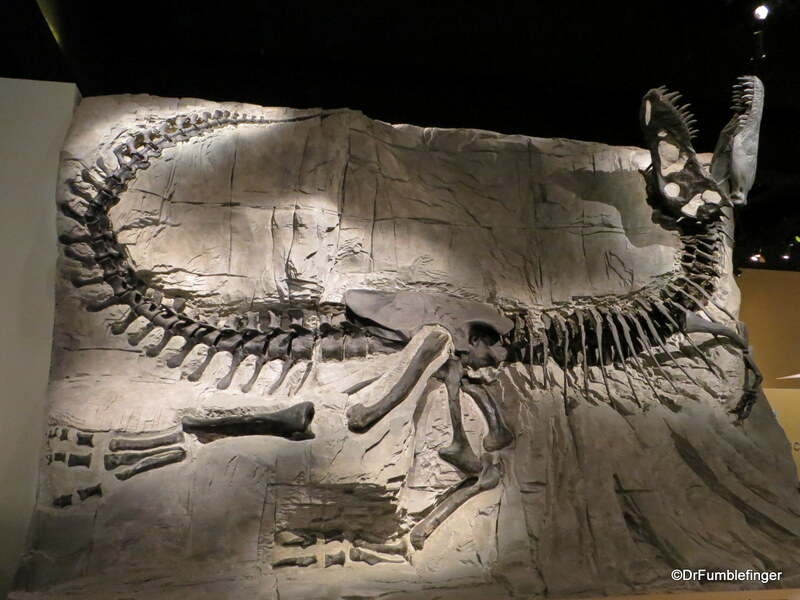 I’ve got to write a full blog post on the museum and Alberta’s dinosaur country soon, but as a teaser I thought I’d share the Tyranossaus Rex exhibits at this museum with you today. 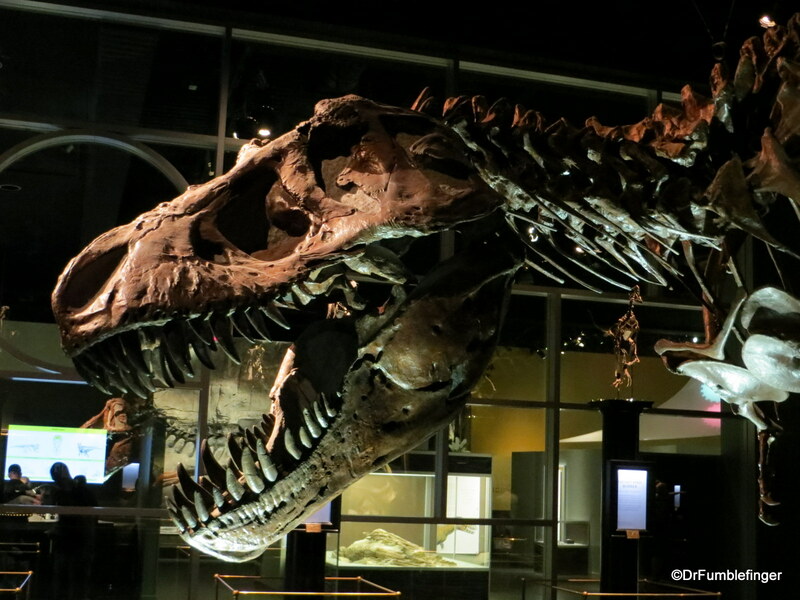 One of the highlights of the museum is “Black Beauty”, a rare nearly completely intact T Rex skeleton, one of a few ever found in Alberta. Removed en bloc, as a single piece of rock (mostly sandstone), it comes from the Crowsnest Pass in southwestern Alberta where it was discovered by two friends going fishing in 1980. The specimen is named “Black Beauty” because of the black colors of its bones, a rare find caused by its bones being tinted with manganese during fossilization. The dinosaur is positioned with its head pulled back and spine curved in, a common posture seen in dinosaur skeletons, possibly due to postmortem rigor mortis. Another room contains a cast of an enormous 13.7 meter long T rex in full hunting mode — on the prowl for some tasty tourist, no doubt!